Lol. Well, although I had been working on Hibari and Lambo for a while now, my little sister finished her Tsuna vexel/painting and wanted me to get working on him as soon as possible, so Tsuna came next instead. The combination of colours is nice but .... isn't it too girly, even for Tsu-kun? Some more well-defined colours is better I think :D But I love your pick of Tsu-kun's pose --- I don't see the zero point breakthrough Kai often in the cards and posters ^.^. Beautiful wall! 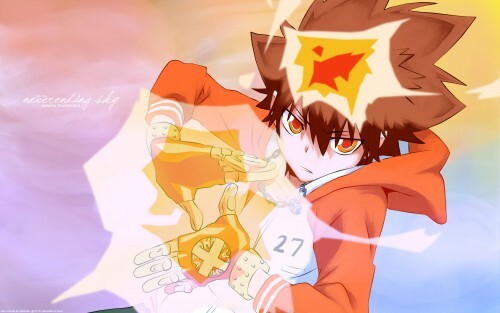 I love Tsuna like this, he looks so cool. Thanks for sharing! So Cooooooool ! Thanks for upload! It's looks really nice. Great job. This looks great. Fit for Tsuna's right hand man.